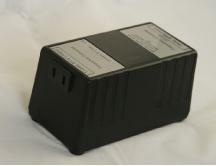 The new 110v Frequency Converter solves that 70 year old problem of different frequencies of the mains supply in different countries. You can now run your American clock in the UK and Australia and any other country where the mains is 50hz. No alterations whatsoever are required to your clock. Plug in and go. exactly as if it were in the United States. 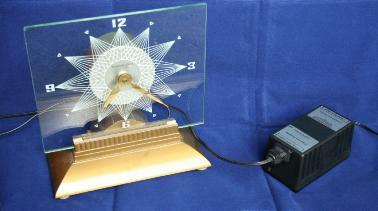 Your clock will be as accurate as your mains supply. I have a supply of LED bulbs that are a direct replacement for 7W incandescent bulbs - they screw straight in. 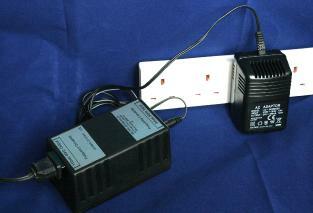 The AC mains at 50Hz is transformed down to 24vAC via a plug in transformer commonly used in CCTV systems. The Frequency Converter then reduces this to 9vAC and samples it to produce a lagging frequency at 60Hz. The 60Hz output goes through filtering to give as clean and accurate output as possible. The sampling and adjustment is done by a microcontroller and some fast switching transistors. This is then transformed up from 9vAC to 115vAC at 60Hz to supply the USA clock. Therefore the output and so the clock will accurately reflect the mains it is connected to.